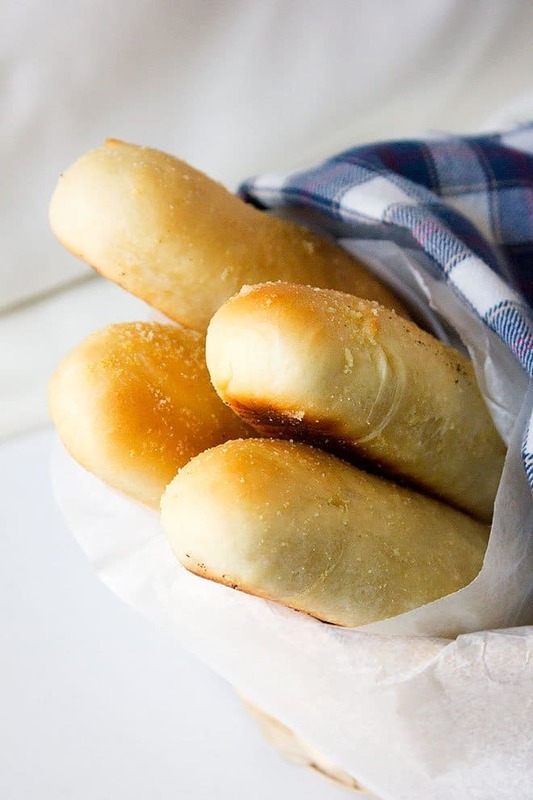 Olive Garden Breadsticks – No, I didn’t get inside Olive Garden’s kitchen, but it feels like I am enjoying their fresh breadsticks every time I bake some. 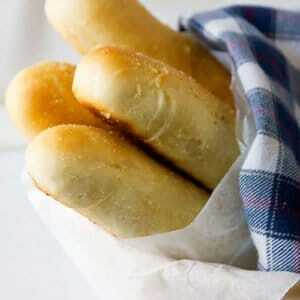 These Olive Garden breadsticks are a must bake. 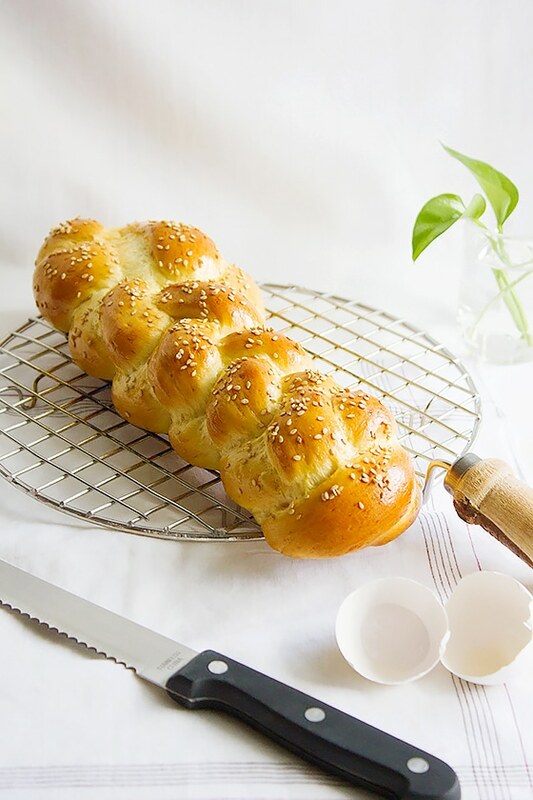 The buttery flavor and the fluffy texture will make this bread recipe stick with you forever! I have all the respect for Olive Garden; they offer a variety of tasty dishes which makes it difficult to decide on what to choose! The olive garden does not sponsor this post, but it is fair to praise something that’s praiseworthy. 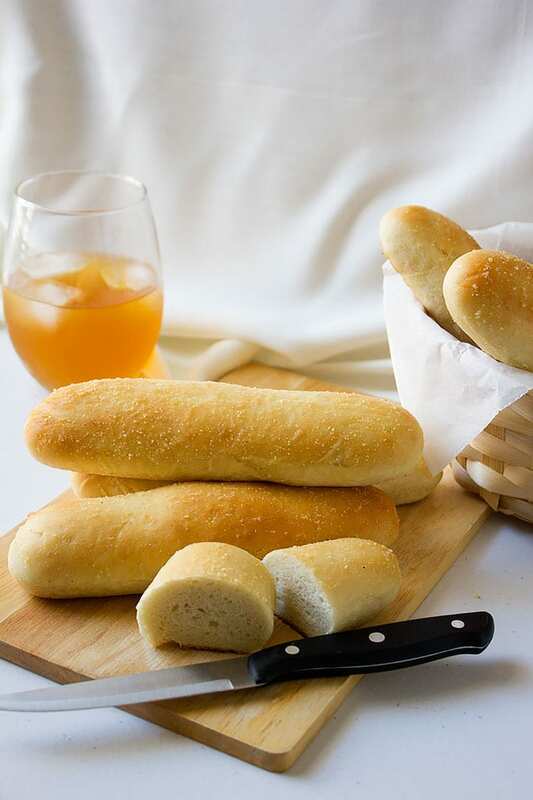 Despite the impressive collection olive garden has, ordering extra breadsticks is like a ritual most of us follow. 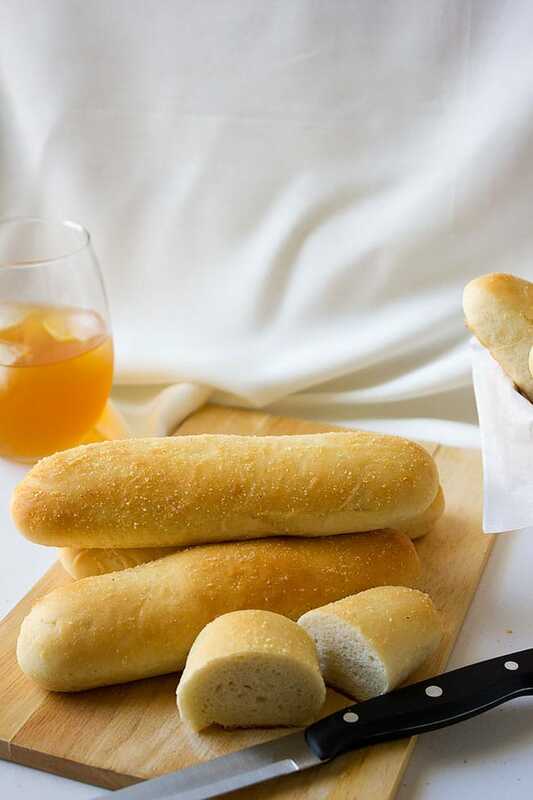 These breadsticks look average, but if it is in Olive Garden, the taste must be extraordinary. 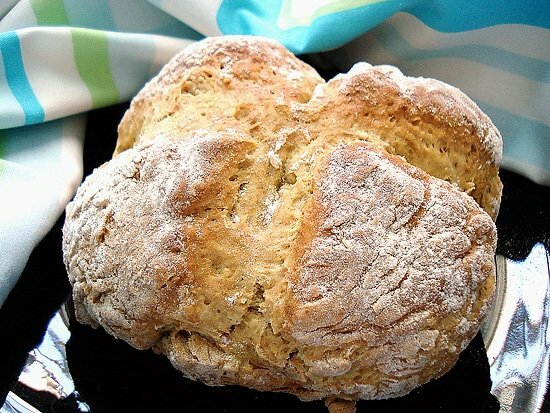 You and I know that homemade bread can beat store-bought anytime. 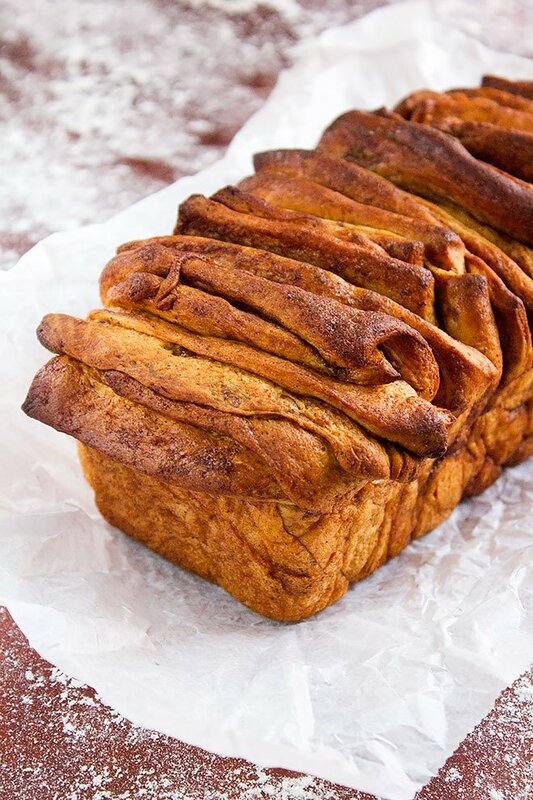 The fresh bread from your oven, made by you, according to your taste, is the ultimate gift to your family. And now you have a homemade Olive Garden breadstick recipe that will wow your family because it is the perfect copycat. After searching the internet for a while, I came across this recipe. It is a straightforward recipe and hardly takes time, well, the dough will take time to rise, like an hour and a half, but that’s it. The breadsticks came out looking and tasting amazing. The other advantage of making olive garden breadsticks at home is controlling the size of the breadsticks. 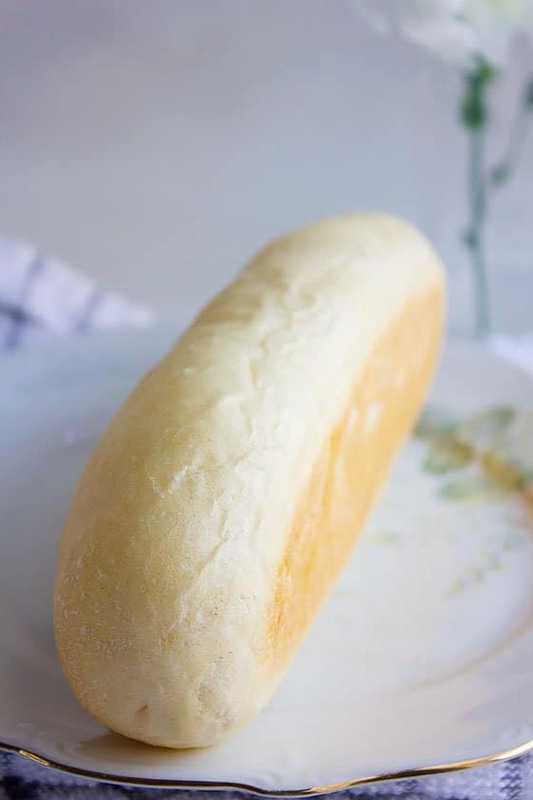 The best part of making olive garden breadsticks is bringing the bread out of the oven when half-baked and brushing it with butter garlic mix. 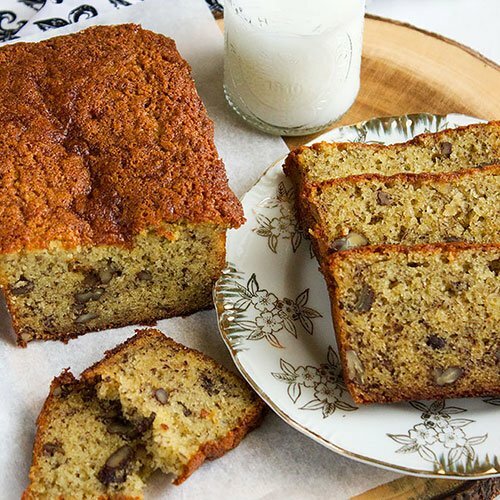 The aroma is mind-blowing, and when it’s completely baked, you are ready to enjoy these golden treats. If you can’t get to olive garden but crave their breadsticks, this recipe will take care of that craving for sure. Hubby and I had it with hummus and salad. It felt like a complete meal. The olive garden copycat breadsticks were light and delicious. The bread stayed moist up until the next day. I have stored it in a Ziploc bag. I know that baking bread is intimidating to some, but making these breadsticks is easy and the dough is forgiving. Don’t forget to let me know how you liked this recipe and if you think it tastes like the one at Olive Garden! 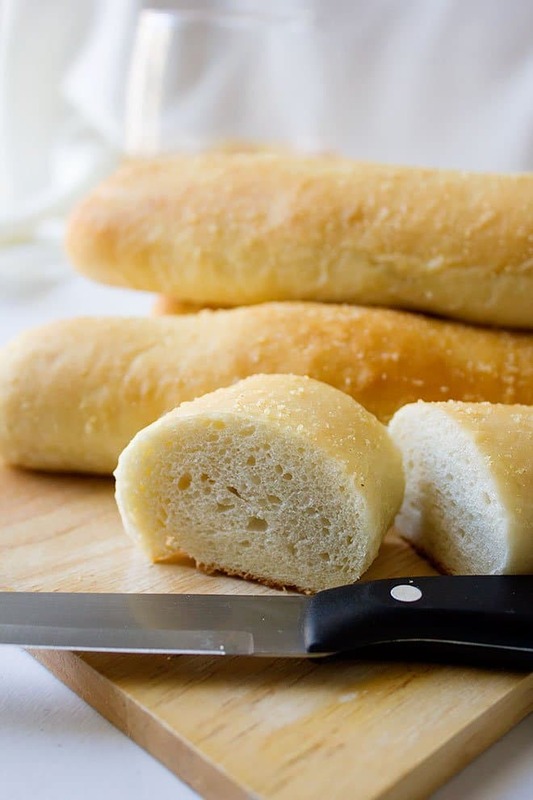 Make Olive Garden breadsticks in the comfort of your home. 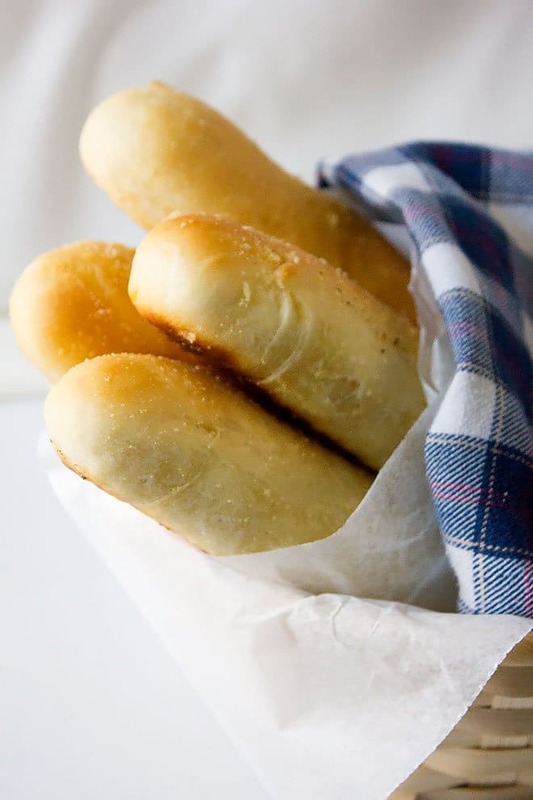 These breadsticks taste just like the one served in the restaurant, and now freshly made by you. In a large bowl, add sugar, yeast and warm water, mix well and allow to sit for 10 minutes. Add flour, salt, and melted butter to the yeast mixture. Mix with your hand or wooden spoon. Knead the dough until no longer sticky. Cover and let it rise for 45 minutes in warm place. 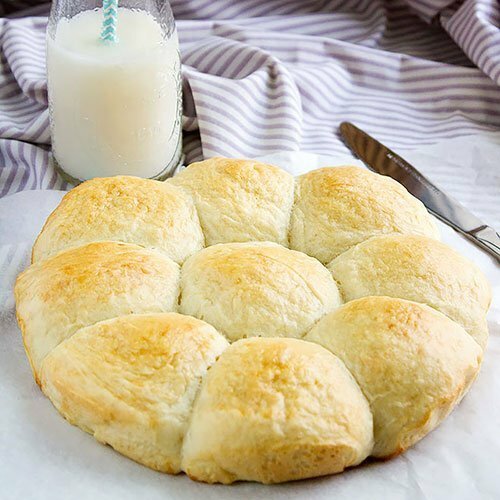 Knead the dough for 1 minutes. Line a baking sheet with parchment paper. Form 7 equal size balls from the dough and roll out into strips. Cover and let sit in a warm place for 45 minutes to an hour to allow the dough to rise. Place the baking sheet in the oven and bake the breadsticks for 6 to 7 minutes. While breadsticks are cooking, microwave 1/4 cup butter, 1 teaspoons garlic powder and 1/2 teaspoon salt. After breadsticks have cooked for 6 or 7 minutes, brush the bread sticks with half the butter mixture. Then continue to bake for 5-8 more minutes. After removing breadsticks from oven, immediately brush the other half of the butter on the sticks. 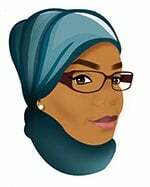 Hi Muna, it’s me maryam. I love your recipe but I am not good in baking. I try your olive garden breadsticks copycat recipe but my own is not good and I think is from the measurements of the yeast. Please can you explain how to measure 3/4 tablespoon of yeast because I Don know. Thanks. Hi Maryam, 3/4 tablespoon is 2 teaspoon plus 1/4 teaspoon of yeast. I hope this helps, also make sure that the yeast your are using didn’t expire, sometimes although the date shows longer time for the yeast to expire, it can go bad if the temperature changes or if it is expose to air for long 🙂 Let me know how you liked the bread and wish you all the best! Hi,here is my spoon measurements that i have let me explain if i am right they are 5 spoons in numbers the purple is tablespoon,the pink is 1/2 tablespoon,the Orange is teaspoon,the green is 1/2 tablespoon and the blue is quarter teaspoon hope i am right the way i explain the measurements of the spoon if i am not correct please can you explain it to me.And in this your bread recipe you said active dry yeast and what i have in my home is instant yeast how can i substitute it.THANK YOU FOR GOOD AND KINDNESS TO ME. For 3/4 tablespoon yeast. Measure one tablespoon yeast, then remove 1/2 teaspoon yeast from it. Sorry pls l forget tell you if I make the bread how can I send you the picture to see.